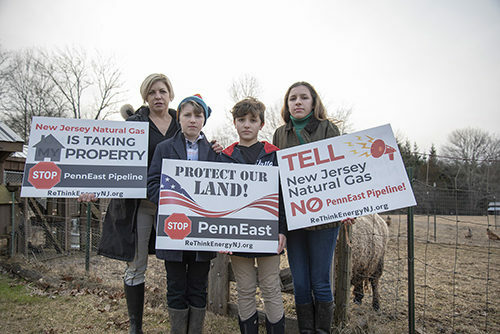 A recent court decision, which the New Jersey Attorney General continues to challenge, gave PennEast approval to condemn lands set aside with tax-payer dollars for our children and grandchildren, as well as the properties of scores of homeowners in the path of their unneeded pipeline. New Jersey can still stop PennEast from ever building the pipeline on lands seized from the public by denying key water permits needed for the project to move forward. Send a letter to Gov. Murphy today — protect our land, water and communities from PennEast! Thank you for making your voice heard. Share this letter on Twitter and Facebook. Together, we can stop PennEast and build clean, healthy, safe energy instead. *Your letter will automatically be sent to Gov. Murphy and NJDEP Commissioner Catherine McCabe. ReThink Energy NJ is a campaign supporting a rapid transition away from reliance on fossil fuels and pipelines, to clean, efficient, renewable energy like wind and solar. By submitting your letter, you agree to receive periodic communications from ReThink Energy NJ.